Nail care - it's the one thing we overlook... but the one thing that can make a huge difference in the overall look in a great manicure. I have Gold Elements nail care to share with you today. This nail care kit has most everything you need for a great, well-rounded manicure and healthy nails. Hand and Nail Cream: A gentle, protective and soothing hand cream to protect your skin. Cuticle Oil: Deeply soothe, moisturize and nourish the cuticles. 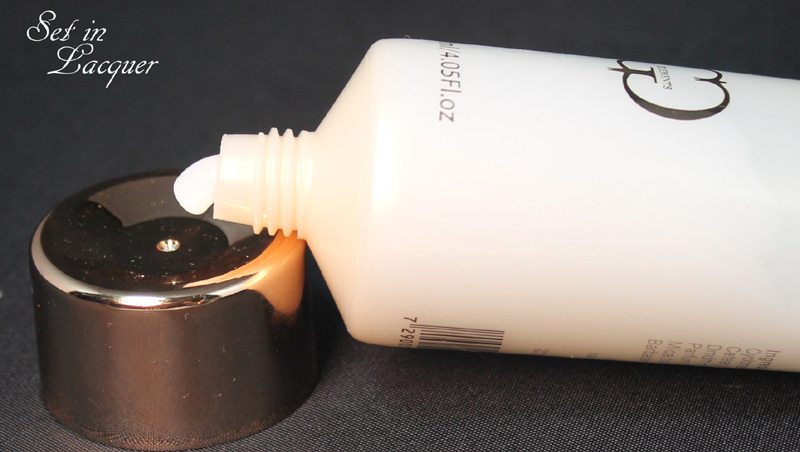 Ideal when buffing your nails, your cuticles will be softer and your nails stronger looking. 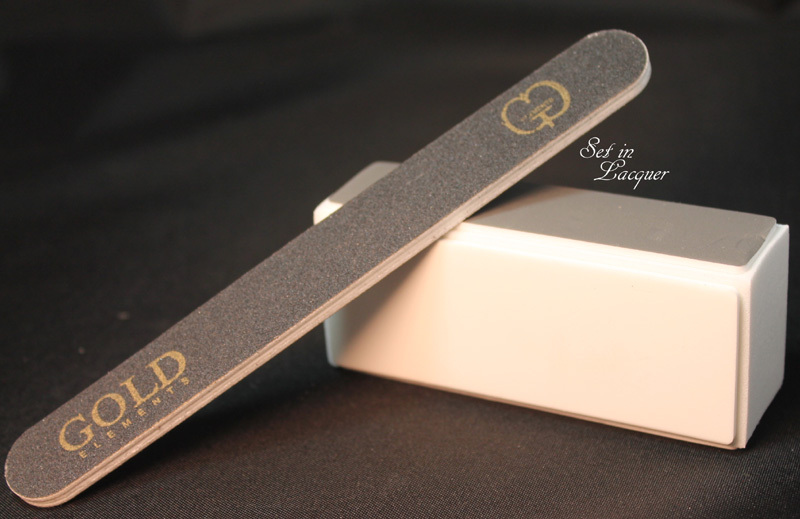 Nail File: To smooth away rough nail edges and shape your nail faster and easier. Buffing Block: A fantastic buffer which grants a beautiful gleam to your nails and assists in stimulating the blood circulation underneath your nails, which encourages healthy growth. The file and buffer are nice. You can never have enough files. I can't seem to find the grit on this one but it seems to be a medium grit on one side and a finer grit on the other. It isn't flimsy and stands up to some serious filing. The buffer is a four-sided block with different buffing levels. I have a lot of ridges in my nails and sometimes buff them. But honestly, I try to stay away from anything more than a light buff. I did try this one and it works quite well. Cuticle oil - let me hear you say it... "Cuticle oil is my friend..." Dry cuticles quickly detract from your perfectly executed nail art. This is .68 fluid ounces of intensive cuticle oil. 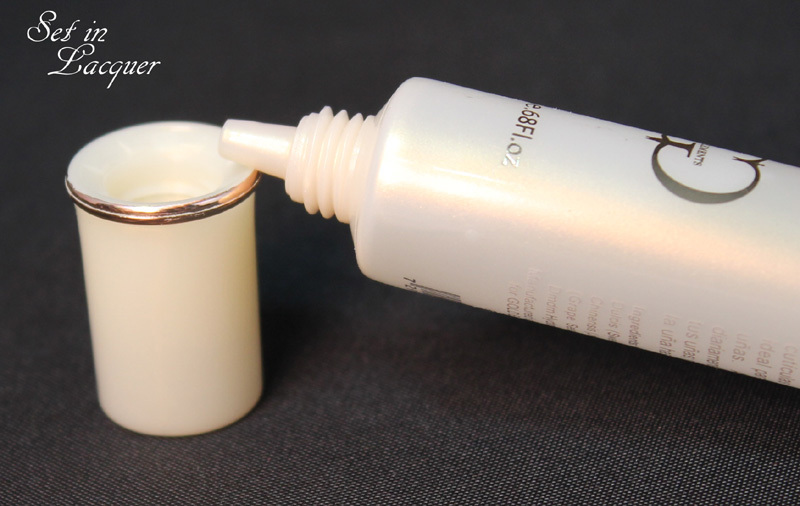 The small tip allows you to put it where you need it - without wasting any of the precious oil. It absorbs into the cuticles nicely and doesn't leave a greasy film. The Hand and Nail Cream is perfect for the before bedtime routine. It's nice and thick and doesn't leave a greasy film on your hands. It only takes about a dime sized amount to be effective. 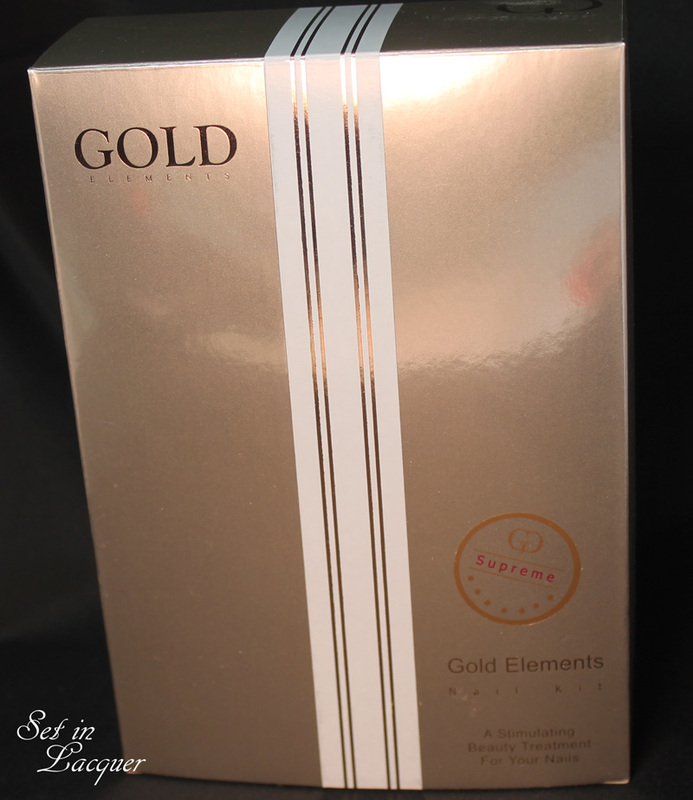 This Gold Elements Hand and Nail Care Kit works well. I have been using it about a week and have noticed that my hands feel softer and my cuticles look more healthy and nourished. The only thing I didn't really like about it is the scent. It isn't a bad scent, it just isn't infused with soft fragrances. 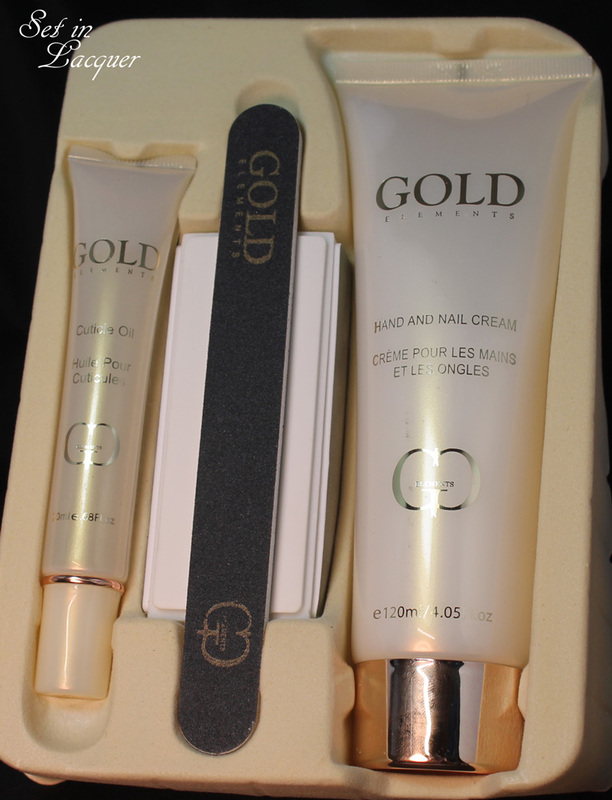 This kit can be purchased online for $49 at http://gold-elements.eu/skincare/category/hand-nail/gold-elements-nail-care-supreme.